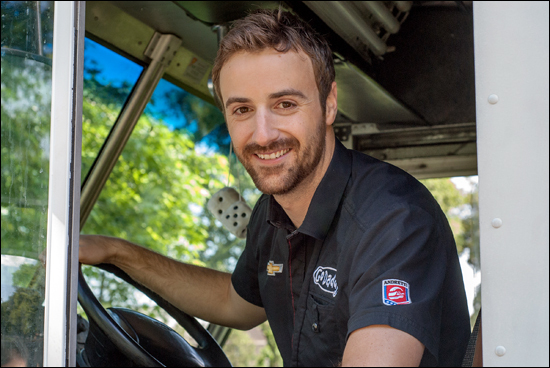 James Hinchcliffe grew up blocks away from Lake Shore Boulevard, the thoroughfare that runs for more than 100 kilometres in the Greater Toronto Area. Raised in Oakville, Hinchcliffe, like many civilians, would cruise down the road and itch to accelerate past the speed limit, which could be as low as 50 kilometres per hour in some stretches. This weekend, he’ll be paid to floor it on that same road — a turn of events that makes him chuckle. “It’s funny blasting down Lake Shore Boulevard in an IndyCar at 250 kilometres an hour, rather than 50. It’s fun to say, ‘Take that, OPP,’” said the race-car driver, raising a fist playfully while thinking of the Ontario Provincial Police radar guns. Hinchcliffe will be among 24 drivers zipping 1,900-pound race cars through the street course in Toronto on Saturday and Sunday. The Honda Indy is one of three events in 2013 to feature two races in one weekend on the Izod IndyCar Series. The race series has added second races in Detroit, Houston and Toronto to increase ticket sales and take advantage of the festival atmosphere in those cities. Having dubbed the doubleheader “2 in TO,” race organizers were forced to hold their collective breath this past week as record rainfall flooded parts of the city, including Lake Shore Boulevard. But Honda Indy president Charlie Johnstone said the event was fortunate to see no damage to the venue. “Like everyone else, we were shocked by what happened and how fast it happened, but everything held up the way it was supposed to hold up,” Johnstone said of the course that blocks off one of the city’s most active commuter routes during Indy week each year. He pointed out that the event and the city were lucky that the rain occurred on Monday night, before any of the less-secure vendor and sponsor tents were put into place. With the two races, he expects the Indy could top the $50 million in economic impact that it provided the city in 2012. There’s also the added benefit of more global media attention, with the races being broadcast in 200 countries. The race on Saturday will be the first time in the history of the racing series that a standing start will commence the chase for the checkered flag. Formula One races feature standing starts, where cars rev up before the green signal is given and then shift into drive. IndyCar races have traditionally begun with cars rolling forward to a start line, maintaining their pre-determined position until the green flag is waved. After changes were made to the manufacturing of cars used in the series last year, standing starts became possible for IndyCar and many race fans will be curious to see how the drivers adjust to the change. Sunday’s race will feature a rolling start. For casual race fans, the 2 in TO format may seem confusing. If someone only wants to go to one race, which should they attend?